While I’ve been in bed getting better, spring has snuck in. I know a few of you still have snow, and I feel for you. It can be rough living up north in the winter. No matter what kind of weather you’re having, brunch can cheer you up. I have 5 Vegan Brunch Recipes for you to brighten up your weekend. I’m starting to feel better, but the cough from my bronchitis keeps reminding me when I push it too far. I’m trying to follow all those tips I gave you in my 5 Tips on How to Take Better Care of Yourself post. It’s nice to at least be up and about to empty the dishwasher or cook up some dinner in the slow cooker. 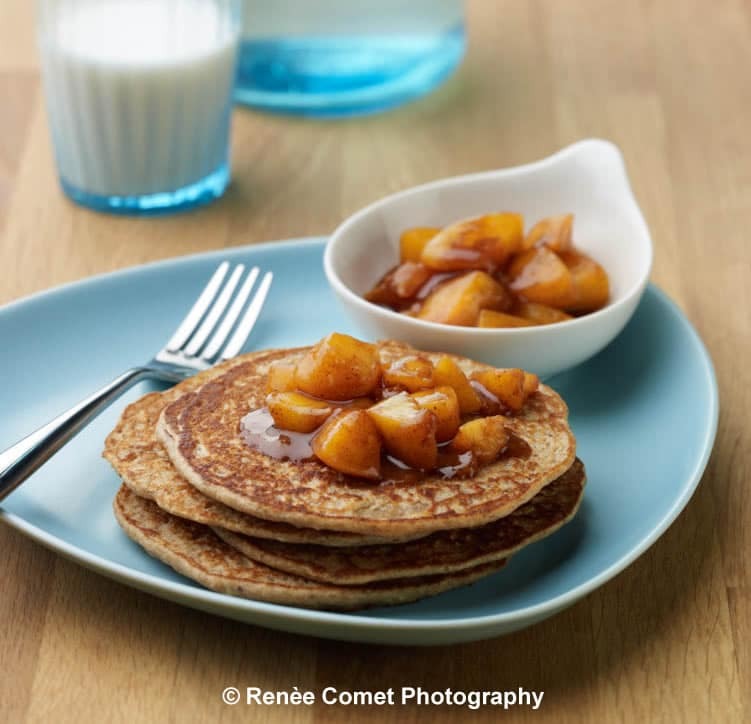 , and the photo is by Renee Comet. 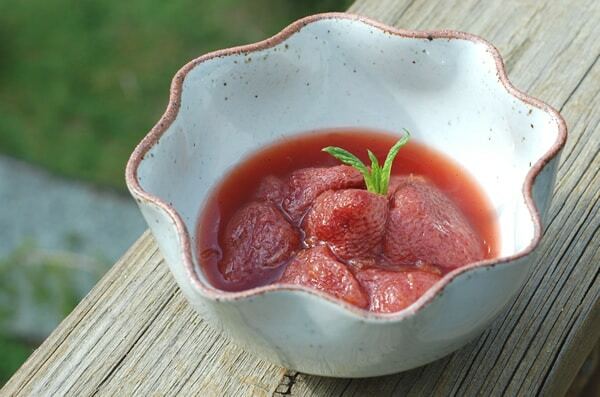 Since we’re not in peach season yet, you could top those Enchanted Pancakes with this easy slow cooker Cardamom Strawberry Compote instead. You could also saute some apples or just eat them plain! 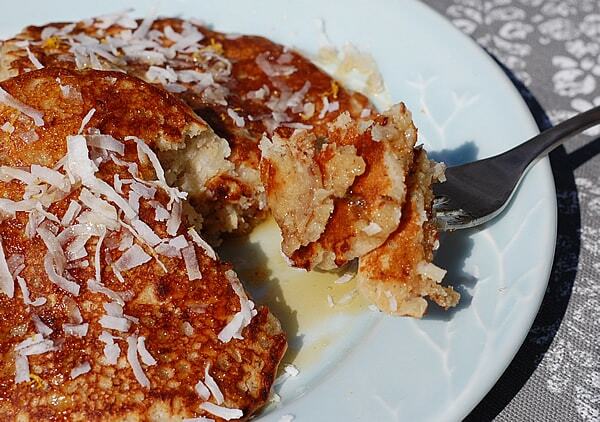 These Lemon Coconut Pancakes are my favorite to eat out on the deck. Today it’s just too windy to eat outside, but they taste bright and sunny even if you eat them inside on a rainy day. 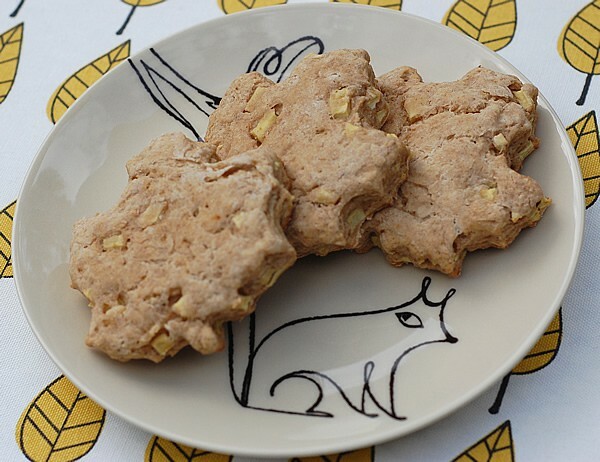 I grew up on cinnamon raisin biscuits, and I have to say these Cinnamon Apple Biscuits are even better. They are everything you dream of in a biscuit: moist, a tender crumb and full of apple cinnamon goodness! I can’t talk about brunch without reminding you of Natalie Slater’s Breakfast Pizza. 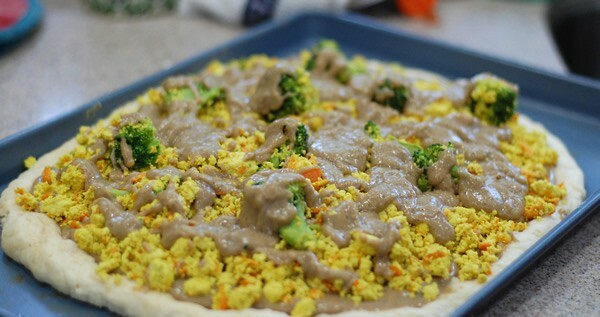 It has a biscuit crust and is topped with scrambled tofu, veggies and, of course, gravy! Just not that into the sweet foods of brunch? 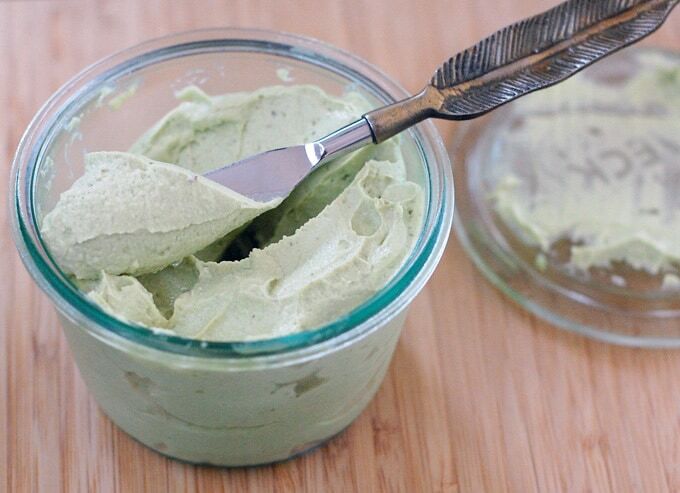 This Avocado Cashew Cream Cheese is a great smear on a whole grain bagel or toast. What’s your favorite Spring breakfast or brunch dish? Is it warm enough to eat outside yet where you are?